Suters Ltd. were elected to the Independent Stores Association on the 1st February 1969..
(1) To exchange statistical and other information (on trading). (2) To promote research into operating methods. (3) To compare and improve merchandise methods. (4) To exchange information regarding sources of supply and to promote exclusive lines of merchandide. 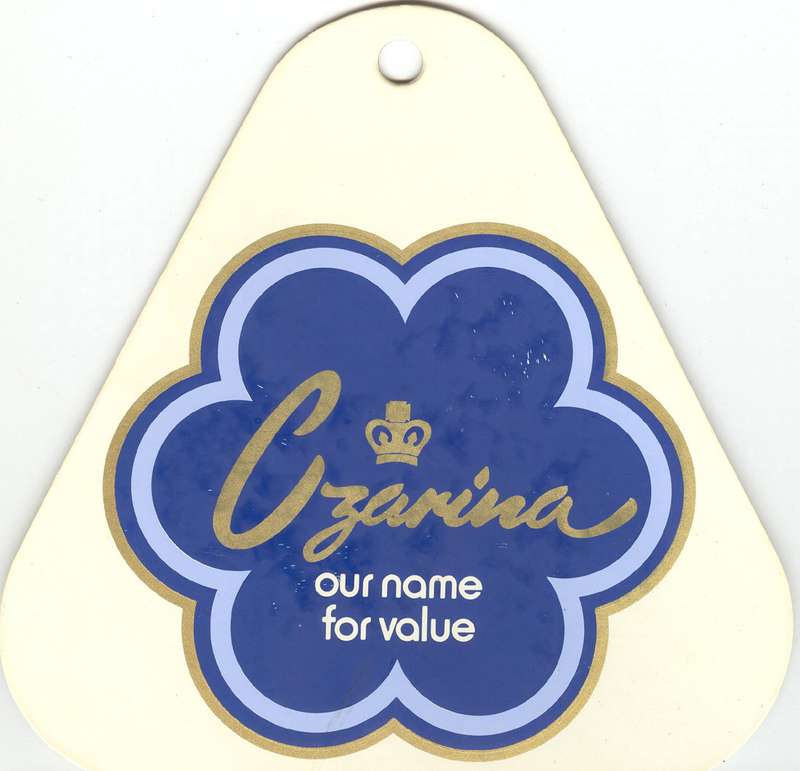 (5) To encourage creative merchandising by improving the range, standards of quality and design of merchandise. The Association aims at the maximum of mutual aid compatible with individual freedom. Members derive results commensurate with the efforts they are themselves prepared to contribute. Members retain their individuality completely and there is no central financial control. 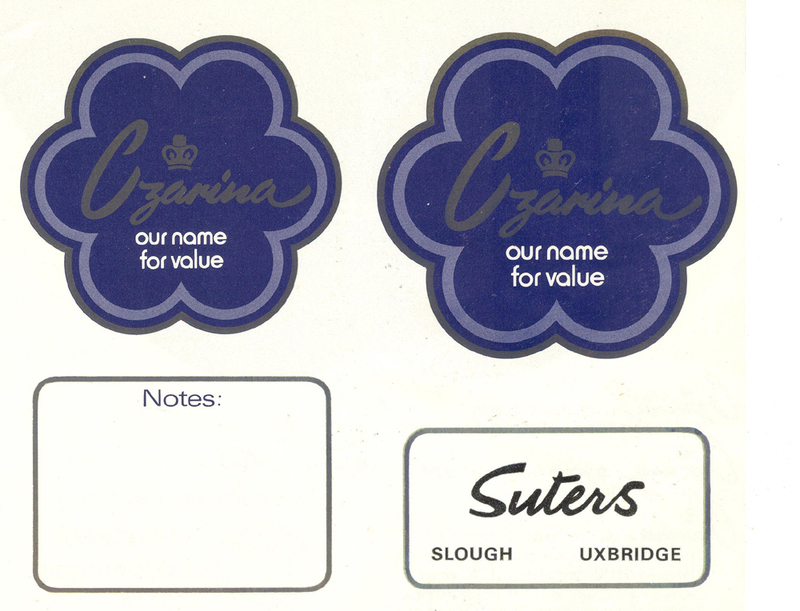 11-13 March 1969 - venue Lygon Arms, Broadway, Worcs. 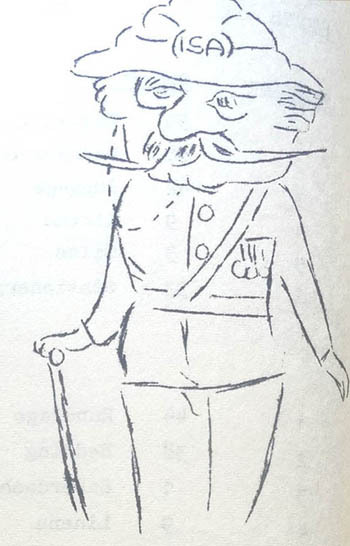 Attendted by Messrs. T.W. & I.S.A. 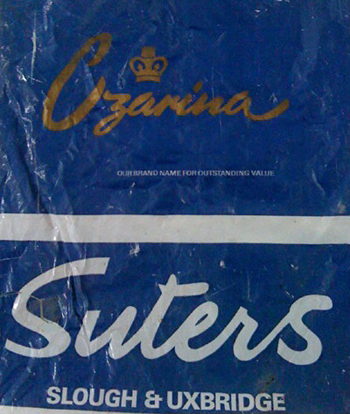 Suter. This course, run by Mr. Ronald Beale and his Committee, proved highly acceptable to those participating. it was designed primarily for executives whose responsibilty lies more in the merchandising field, for training in some of the financial aspects of management. It was obvious that there was a realisation amongst member stores of this Association that only by increasing their understanding of the financial matters concerning our businesses could we merchants more successfully assist in our enterprise. The content of the conference had been designed in a context which did not expect such a bevy of Company Secretaries to be included and consequently some speakers felt that they should raise the standard for appraisal to one which these participants might not feel was wasting their time. Mere merchants, therefore, found the speed and terminology beyond their sciptive powers on occasion but nevertheless highly informative. My own view was that on the matter of finance there was insufficient time and visual aids or summaries would have improved an otherwise interesting team of speakers. Harold Boundy spoke to us in the opening session on the Interpretation of Accounts and Financial Ratios, and here I felt that we could have carried out an exercise, possibly using our own results for comparison. Frank Scott took up the matter of Producing the Data and Statistics required by Management, and gave us considerable insight into the fast moving advances computerisation and mechanisation can bring to the retail trade. A sound word of advice was introduced by him when he warned us that now, prior to decimalisation, was the time for us to review our stationery libraries and therow out unecssary paperwork. He reminded us that Lord Marks had deemed "that the price of perfection was prohibtive". Two sessions on Critical Path Analysis bt John Sharpe from the College of Magement Studies were to me a very instructional nature, and I found the short exercise given to us a useful aid to undertanding. His colleague, Kenneth Ambrose, introduced the Human Factor in Profits and Motivation of Staff, and here again I found the syndicated half-hour beneficial together with the film on Professor Herzberg's view of motivation. Sessions on the Companies Act and Corporation Tax, Decimalisation and Chairing of A meeting produced again interesting thoughts and information. Evaluation of the Conference by members produced the suggestion that an introduction to the course on the evening of arrival would save time, and that it was necessary for speakers to receive a more definite briefing upon the area of coverage. As very new members we were greatly impressed by the ability shown within the Association, and as a merchant member of the Conference i would consider the general standard to have been high in content and well suited to our needs. The inclusion of members already well versed on financial matters does not detract from the general benefits of their presence since they provoke discussion in areas not immediately seen from the merchandise side. They expressed similar thoughts in suggesting the benefits which would accrue to them on a merchandise type course and ny own view is that no serious problem is involved here until far greater specialisation becomes possible. 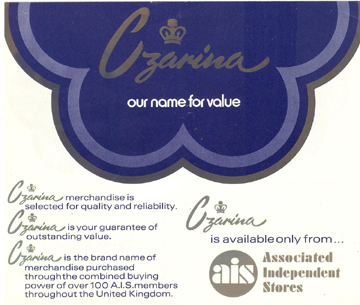 To compete with the buying power of the larger retail groups developing, many of these family stores had joined a buying and marketing group like the ISA -Independent Stores Association with the Czarina brand name.A large range of products throughout the stores had the Czarina brand label on them. This organisation was later to become Associated Independent Stores - AIS and there are still many family run department stores who are part of it. The Czarina logo was also used on advertising, bags and the back of sales bills.